I recently rearranged things in my studio, so now my BeatStep Pro is to the right of the Euro rack instead of right in front of it. 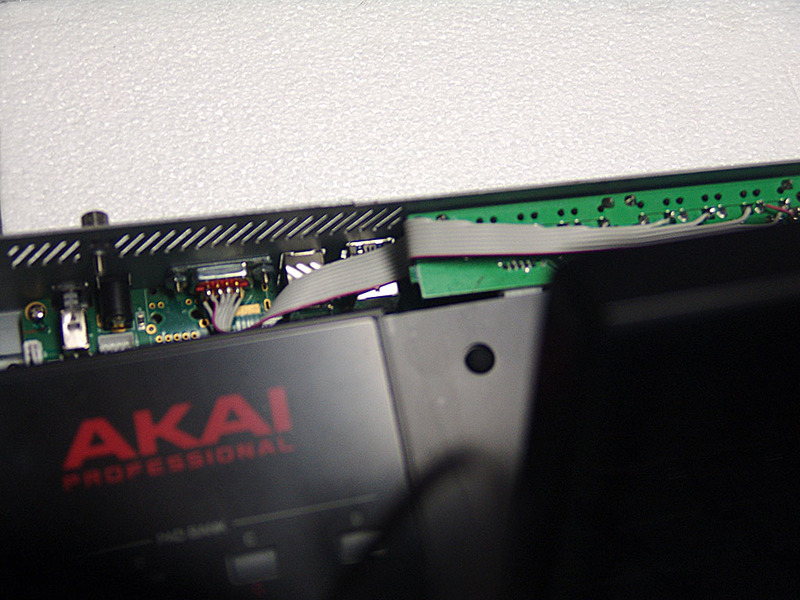 I'm also setting up a Keystep 32 and I wanted to have some sort of patch bay in between so I don't have wires dangling down that I can't remember where they came from unless I look at the rear panels of the controllers. I spent an hour yesterday on ModularGrid looking at various passive and buffered mults, but I really only need (mostly) a 1:1 connection. Then I got on here and searched for "Patch Bay" and found a recommendation to use an audio patch bay with 3.5mm to 1/4" adapters. As it turns out I have a Behringer "Eurorack" patch bay already installed which will do the trick quite nicely. I don't actually patch much audio through it. I just need to order 20 3.5mm to 1/4" adapters, from Amazon it works out to about $60 which is about the same as two 2 or 3 hp 3x3 mults, but doesn't take up any space in my rack! There's a sad general lack of patchbays, trunk lines, etc. for this sort of thing in Eurorack. ADDAC911 is a 1U patchbay that has 1/4" and 3.5mm jacks for each channel, but it's pricey compared to standard 1U patchbays. -- The 2HP Bastl Multiple is dirt cheap, comes with all jacks wired together on the back, and you cut the connection wherever you like. 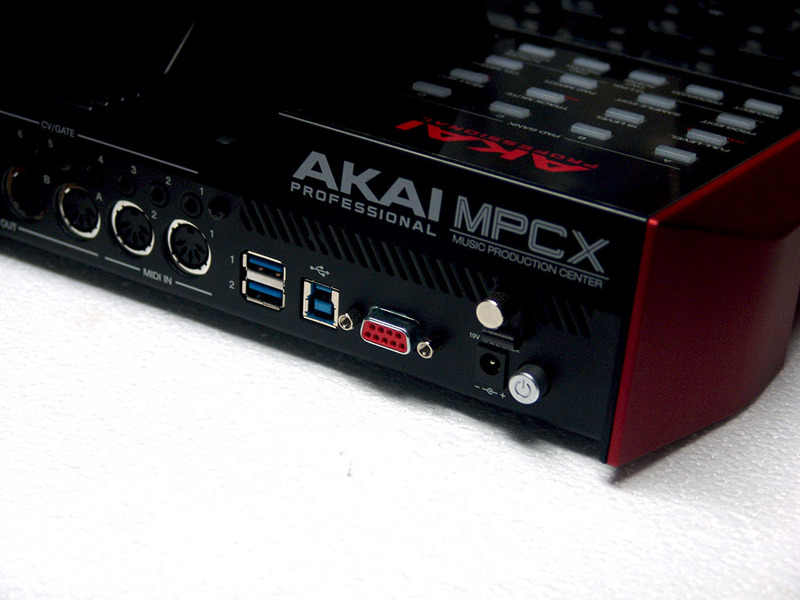 I currently have one set up for four 1:1 connections to the back of my audio interface, though there's one jack left over. 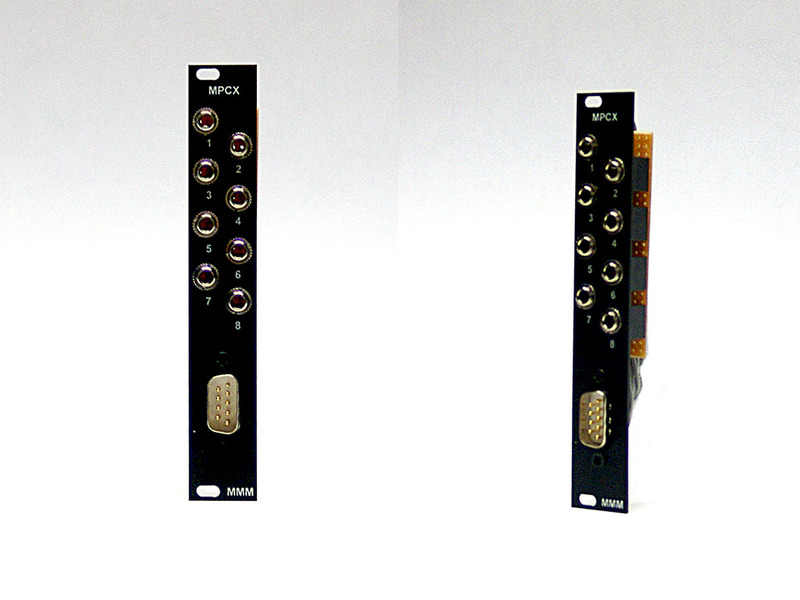 -- A pair of ADDAC213B -- eight 1:1 connections in 6HP total, and you don't have to place the two modules side by side. 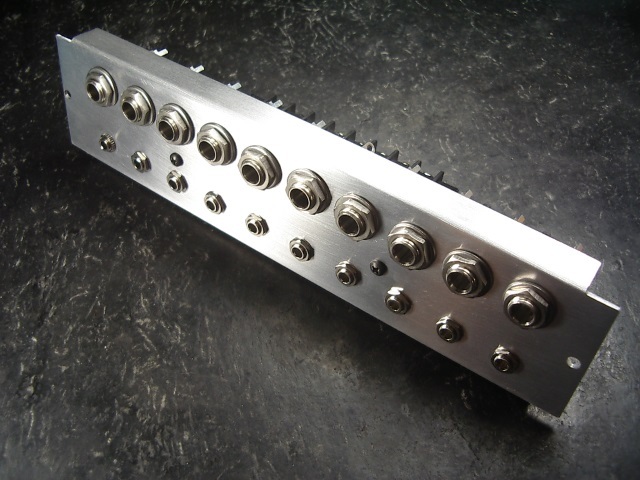 -- Trouby Modular Jack 8 is 8 3.5mm to 1/4" converters in 12HP. -- Pulp Logic Patch Multiple or Liivatera Switched Patch. 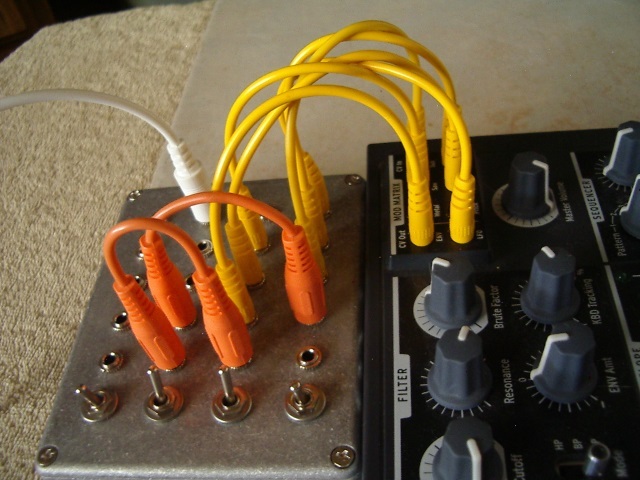 Instead of dividing the multiple by cutting wires, you divide it by patching cables in the left column. I used a pair of these for a while to bridge between cases. -- Boredbrain Patchulator, but I think it's a bit overpriced and wonder why there's not a more straightforward, plain desktop patchbay like this. Thanks for the comment. I decided I really need 10 patch points with my current setup. 4 for the drum triggers coming from my BSP. 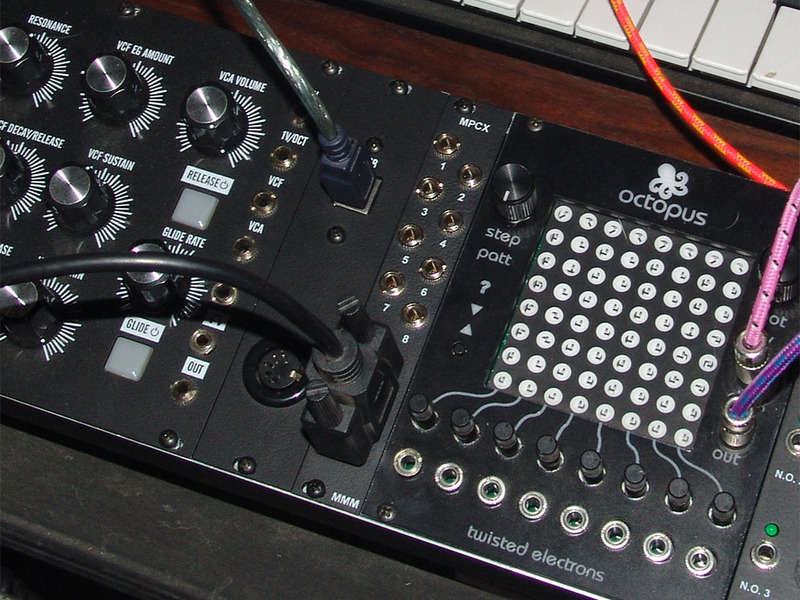 It supports 8 I think but I just use 4 going to 2 Erica Pico Drum modules. 2 each for the 2 melodic sequencers gate/pitch in the BSP (I don't use velocity at the moment) so that's 4 more. 2 for the gate/pitch on the Keystation. I think the Behringer will be great as I can bring the signals in from behind, keeping that bunch of cables out of the way. And switching off normalling, I can have 24 channels just on the right hand side, leaving a few channels open for any audio patch routing I want to do (which is not much). Also, the connectors will be spread out a bit rather than all jammed into 6 or 8 hp. I have a few HP left over for "something else" but haven't been exploring the modular much recently, rather playing a lot of guitar. ... ADDAC911 is a 1U patchbay that has 1/4" and 3.5mm jacks for each channel, but it's pricey compared to standard 1U patchbays. You ain't kiddin' !! At today's exchange rate it's running $262.00 USD plus $40.00 USD shipping! At $302.00 USD that thing better do flips and cartwheels! Why not just make your own? Or if you're not hip on soldering/drilling holes and such there are quite a few people within our membership willing to be paid to make such a thing. 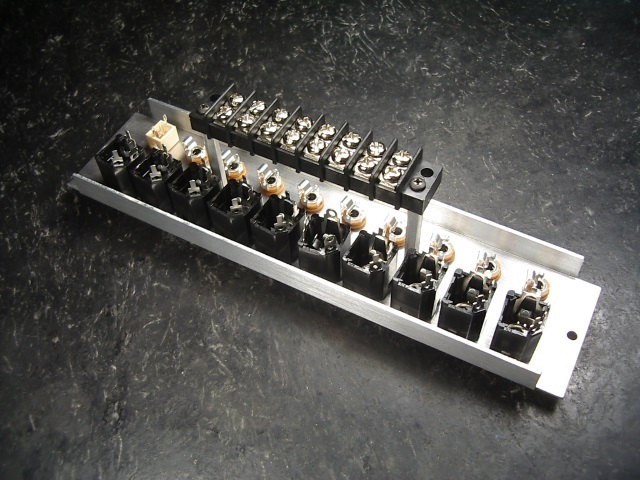 You could make a desktop format conversion patch box out of a $10.00 stomp box enclosure and ten 1/4" jacks plus ten 3.5mm jacks. Seems necessity always becomes the mother of invention. Did the same for the MPCX!